You have already shown an interest in the 2 Day Arras Tour, please select any other tours you are interested in. Buried at Dartmoor cemetery are a father and son, who lie side by side in Plot 1 Row A. They are 44 year old Sergeant George Lee and 19 year old Corporal Robert Lee. 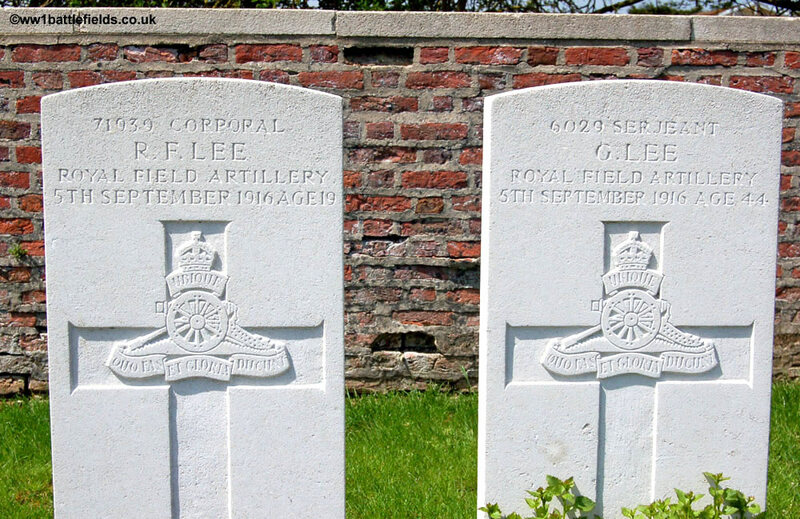 Both served with 'A' Battery of the 156th Brigade of the Royal Field Artillery, and both died in the same incident on the 5th of September 1916.